As you can see here, being a dapper dude doesn't take that much the office. 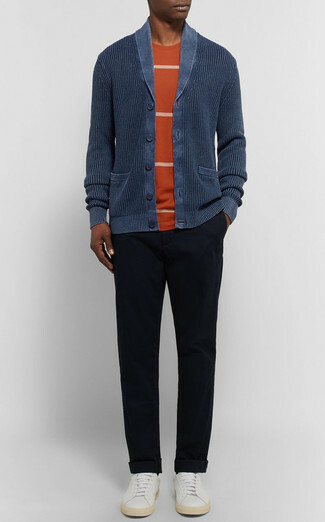 Just consider pairing a navy shawl cardigan with black chinos and you'll look amazing. Take your look into a sportier direction with Rodd & Gunn windemere sneaker. 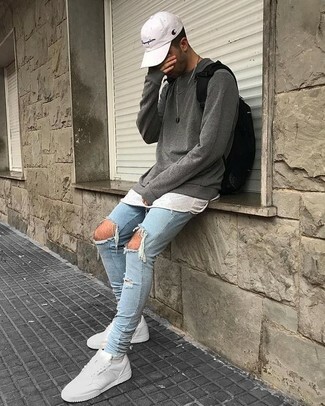 If you prefer relaxed dressing when it comes to your personal style, you'll love this on-trend pairing of a grey crew-neck sweater and light blue ripped skinny jeans. Elevate this getup with Rodd & Gunn windemere sneaker. Opt for a beige overcoat and charcoal wool dress pants to ooze class and sophistication. For something more on the daring side to complement this getup, make Rodd & Gunn windemere sneaker your footwear choice. We're all seeking comfort when it comes to dressing up, and this combination of a light blue denim shirt and blue ripped denim shorts is an amazing example of that. To add more class to your ensemble, finish off with Rodd & Gunn windemere sneaker. 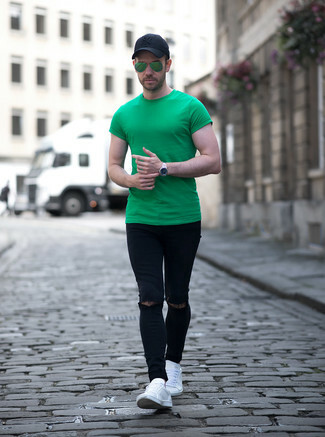 Pair a green crew-neck t-shirt with black ripped skinny jeans to be both cool and relaxed. 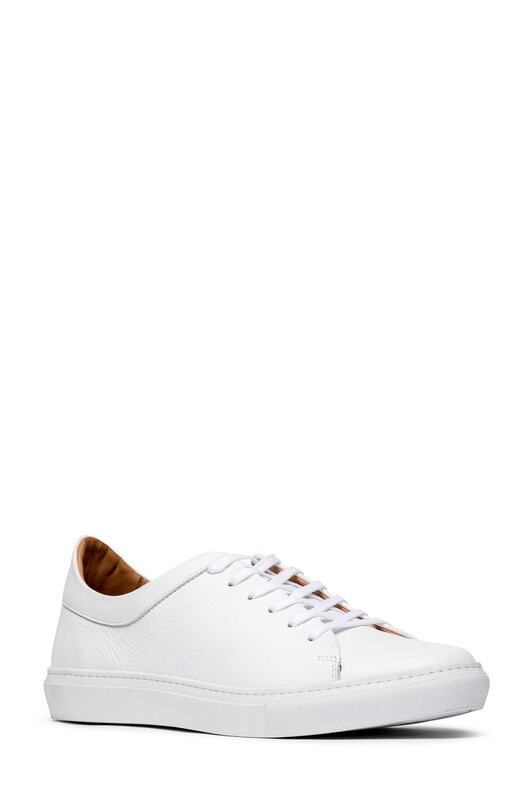 Amp up the cool of your getup by completing it with white leather low top sneakers. Contrary to what you might believe, being a dapper dude doesn't require that much effort. Just rock a grey blazer with charcoal chinos and you'll look good. Go for a pair of white leather low top sneakers to have some fun with things. If you're in search of a casual yet stylish look, consider wearing a navy bomber jacket and navy chinos. Both garments are totally comfortable and will look great paired together. Make your getup more fun by complementing it with Rodd & Gunn windemere sneaker. 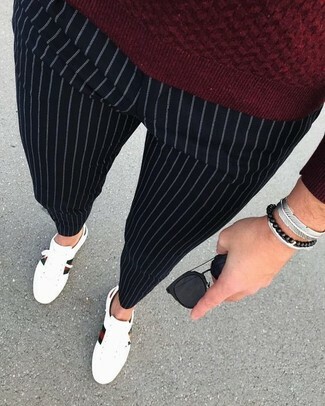 For a casually elegant outfit, rock a burgundy crew-neck sweater with black vertical striped dress pants — these two pieces the workplace pretty good together. For something more on the daring side to complete this getup, make Rodd & Gunn windemere sneaker from Nordstrom your footwear choice. 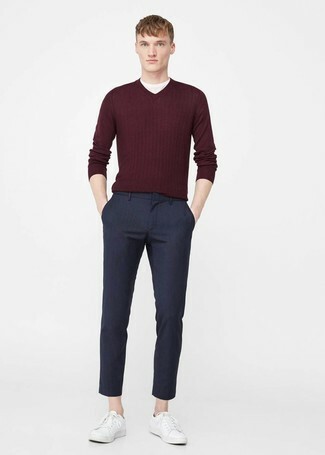 If you're on the lookout for a casual yet stylish getup, marry a burgundy v-neck sweater with navy chinos. Both garments are totally comfortable and will look great together. For a more relaxed take, make Rodd & Gunn windemere sneaker your footwear choice.